The first official sketch of the BMW M235i race car was released and it seems that the Bavarian auto maker's customer race car is going to be even more exciting than we've expected. 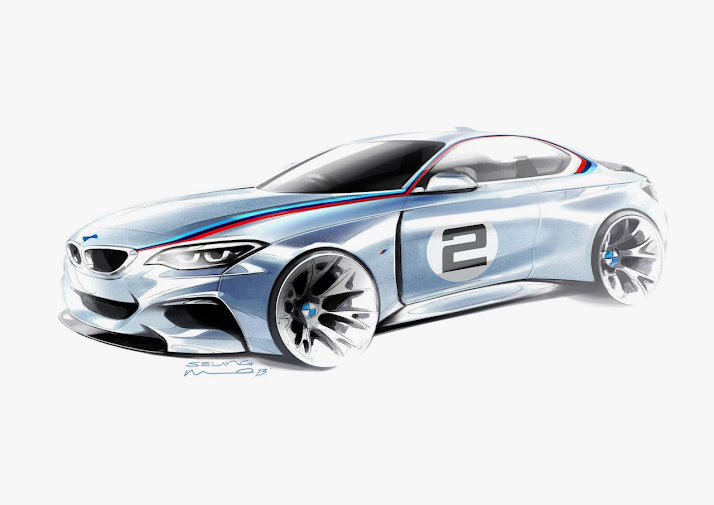 The M235i will be powred by a 3.0-liter turbocharged straight six producing 333 Hp. It also features a full FIA compliant roll cage, a racing fuel tank and a limited slip diffenrential. Pricing starts at $80k (€59.5k). The car will compete at the VLN Endurance Championship and the Nürburgring 24 Hours on the Nürburgring-Nordschleife as a factory backed race car. Stay tuned for more information!